"We heard you," says a statement from Mayor Jenny Durkan and seven of the nine City Council members, announcing the plan to reconsider the head tax that has spurred controversy and a repeal effort by businesses. Less than a month after roiling Seattle and making national headlines by voting unanimously to pass a controversial head tax on big businesses such as Amazon, the City Council now plans to abruptly reverse itself and vote to repeal the tax. Council President Bruce Harrell announced the move without warning Monday and vowed to move at lightning speed to kill the measure, responding to a backlash from business leaders and residents who say they don’t trust the council to spend wisely. Harrell scheduled a special meeting for Tuesday and said he would sponsor the repeal legislation, which appears to have enough votes. He and six others on the council joined Mayor Jenny Durkan in a statement Monday signaling their support for nixing the $275 per employee, per year tax, which was supposed to raise about $47 million per year starting in 2019 to fund low-income housing and homeless services. Council members said talks with constituents had persuaded them to change course. The news of the sudden turnaround — unprecedented in recent Seattle politics — also comes as the council stares down the prospect of a long and bitter battle for votes. A business-backed campaign called No Tax on Jobs had planned to submit petition signatures on Tuesday to qualify a referendum on the head-tax for the November ballot, having raised more than $200,000 and attracted a small army of volunteers. By approving the tax despite opposition from Amazon and other behemoths, Seattle politicians drew praise from progressive activists and ire from conservative pundits across the country. Some California cities now are considering whether to follow suit, and repealing the tax will likely send ripples down Interstate 5 and beyond. What the move could mean for local politics is less clear. A $636 million education levy proposed by Durkan could have a better chance on the November ballot without a head-tax referendum campaign beating up on City Hall for months. 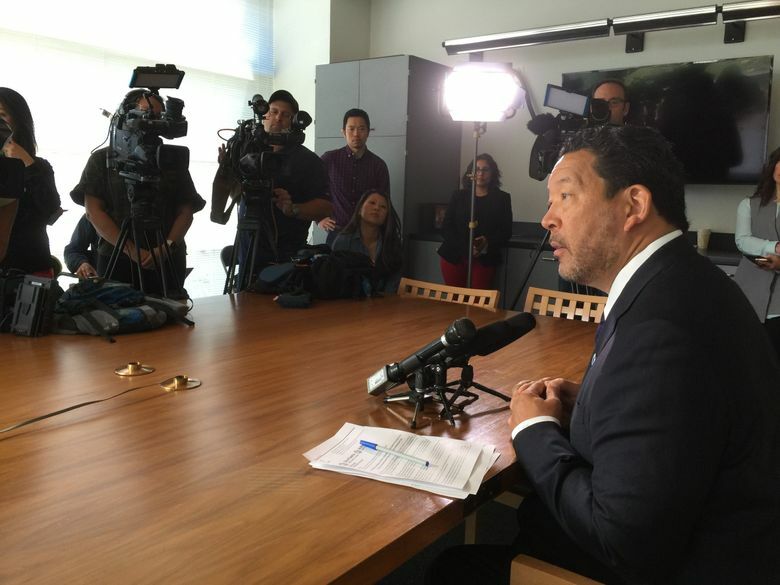 But the embarrassing backtrack also could serve to weaken the mayor and council and could lend credence to the idea that a tax revolt is under way in Seattle. Seven council members ­— those representing districts — are up for re-election next year, and challengers are likely to make the head tax an issue on the campaign trail. The tax, approved 9-0 and signed into law by Durkan, was set to cover about 600 of Seattle’s largest employers — companies that gross at least $20 million per year in the city. The decision to flip-flop apparently came together quickly, with Durkan playing a role. Councilmember Sally Bagshaw said she learned about the plan Sunday. “I was at the beach minding my own business and I got a call from the mayor’s office letting me know that she already had heard from a number of my council colleagues that this was going to be on the agenda,” Bagshaw said in an interview Monday. In scheduling the vote as a special meeting, the council avoided its usual requirements for advance notice and for public hearings on pending legislation. Under state law, special meetings must be publicly announced at least 24 hours in advance. A council spokeswoman said the notice was posted Monday at noon, clearing that legal bar. In their joint statement, Harrell, Durkan, Bagshaw and Councilmembers Debora Juarez, Rob Johnson, M. Lorena González, Lisa Herbold and Mike O’Brien said they wanted to avoid “a prolonged, expensive political fight … that will do nothing to tackle our urgent housing and homelessness crisis.” Though González, Herbold and O’Brien helped lead the push for the head tax earlier this year, only Councilmembers Teresa Mosqueda and Kshama Sawant stood by the tax Monday. “We have people who are dying on the doorsteps of prosperity, and our neighbors and friends worry about being able to afford to live in the city while we have a booming economy,” Mosqueda said in a statement. Business leaders hailed the about-face, with Seattle Metropolitan Chamber of Commerce President Marilyn Strickland calling it “the breath of fresh air Seattle needs,” while social-justice advocates expressed deep disappointment. They joined with service-employee unions to support a $500-per-head tax this spring, then saw the council pass a scaled-down version after encountering resistance from Durkan, Amazon, supermarket companies and construction-worker unions. Seattle has been in a declared state of emergency since 2015 over its homelessness crisis. A record 169 people died on the streets of King County in 2017. The council passed an income tax on wealthy households last year, then saw that option struck down in court. Durkan may have hoped to placate all sides when she brokered the deal last month on a tax she was never enthusiastic about, said former Mayor Greg Nickels. “That clearly hasn’t worked,” Nickels said in an email, describing the effort as an “unsurprising miscalculation” for a brand-new mayor. Almost immediately after the tax passed, business leaders began the referendum campaign, joined by voters with doubts about the council’s ability to spend effectively. Speaking to The Seattle Times in his office, O’Brien said he and other supporters of the tax failed to adequately anticipate and plan for a potential referendum battle. “The referendum process is a powerful process, and as we were working through the contentious fight, I know I didn’t fully contemplate what that looks like,” he said. O’Brien sighed deeply as he explained his decision to change course, saying a November referendum would bring uncertainty to 2019 budget talks later this year. John Murray, a spokesman for the referendum campaign, said the campaign would watch the expected council vote and could still submit signatures by the Thursday deadline. Tim Burgess, a former interim mayor and council member, said he could not recall another instance in which Seattle politicians canceled such a major policy so suddenly. He said some of his former colleagues underestimated growing dissatisfaction among some voters about unauthorized homeless encampments and related issues. Asked whether he considered the tax “a mistake,” Harrell bristled. 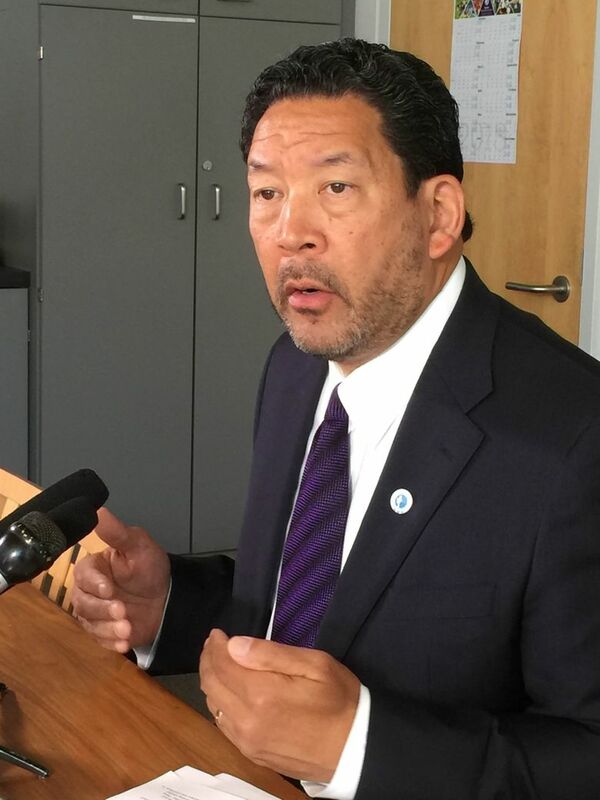 Harrell said he hopes Seattle’s business leaders are as aggressive in seeking a different solution to the homelessness problem as they have been in opposing the head tax, and he said City Hall must do a better job persuading voters their money is being well spent. King County Executive Dow Constantine, who opposed the head tax, urged a renewed push for a “regionwide response” to homelessness, as did Bagshaw.